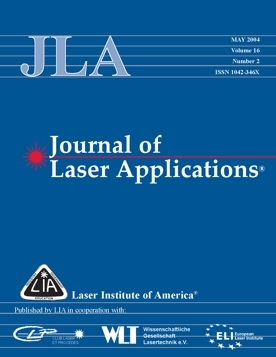 The Journal of Laser Applications® is the official journal of the Laser Institute of America and serves as the major international forum for exchanging ideas and information in disciplines that apply laser technology. Internationally known editors, reviewers, and columnists deliver the latest results of their research worldwide, dealing with the diverse, practical applications of photonic technology. Since the beginning of 2005 three European laser societies - European Laser Institute (ELI), German Scientific Laser Association (WLT) and Club Laser & Procédés (CLP) cooperate to reflect their joint effort in producing the journal together with the Laser Institute of America. The overarching goal of the global cooperation is to make JLA the most prominent global forum for laser application related research and practice. For further information please go to the official JLA web site.